In November of 2017 my dad Bill Tripp (also known to some as Charlie), was diagnosed with pancreatic cancer. He fought the fight of his life with so much strength, positivity and courage. As most know, he passed away recently on January 29, 2019. I started a team, Charlie's Angels/Bill's Boys, to raise awareness about pancreatic cancer and to raise money for the Pancreatic Cancer Action Network by participating in PurpleStride San Diego 2018 and am doing so again for the same event in 2019. I am also striding in memory of my grandmother, Leona Tripp, who passed away from pancreatic cancer in 2006. Pancreatic cancer has the lowest survival rate of all major cancers, at just 9%. 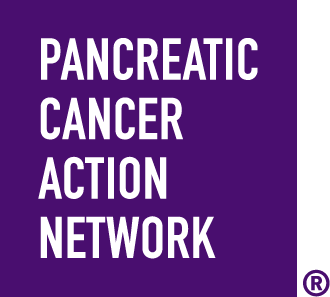 It is because of efforts supporting organizations like the Pancreatic Cancer Action Network that we are able to learn more about the disease, how to fight and are able to contribute to vital efforts to double pancreatic cancer survival by 2020. These vital efforts include scientific research, funding research grants, patient support services, government advocacy efforts and community engagement. Like many diagnosed with pancreatic cancer, my dad started experiencing symptoms by the time the cancer was already at stage 3/4. There are currently no early detection methods. I hope that by raising awareness and funding, research will soon experience a breakthrough that will allow earlier detection and treatment. Earlier detection and treatment will enable patients to fight this disease at an earlier stage, which can result in increased survival rates. Our support helps provide hope to those fighting this disease. My dad was and is the greatest example of hope. He was so incredibly strong and did everything he possibly could to try to beat this. Please join me in the fight against pancreatic cancer. I sincerely appreciate your support!